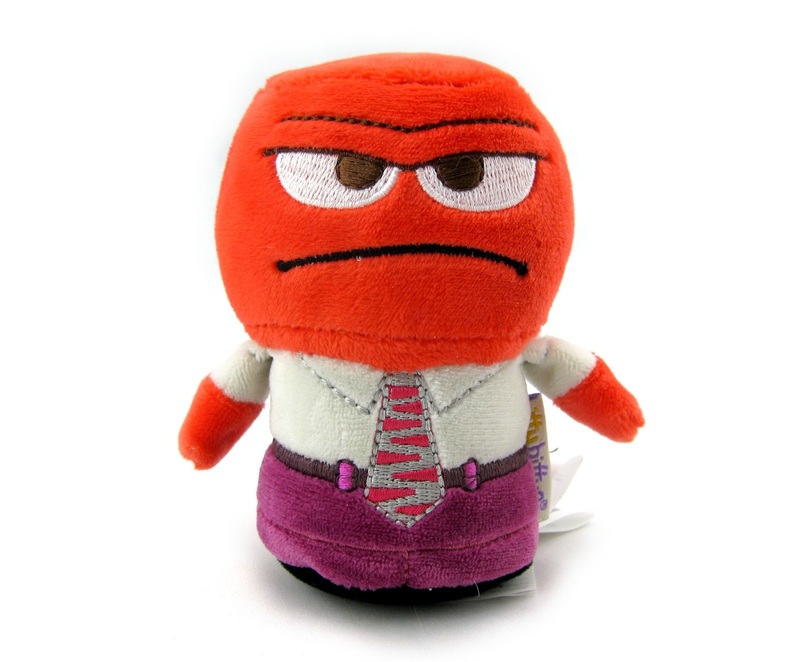 In early 2014, Hallmark stores released an adorable exclusive collection of mini stylized plush called "Itty Bittys" (based on a wide variety of popular characters from Disney, Pixar and so on). 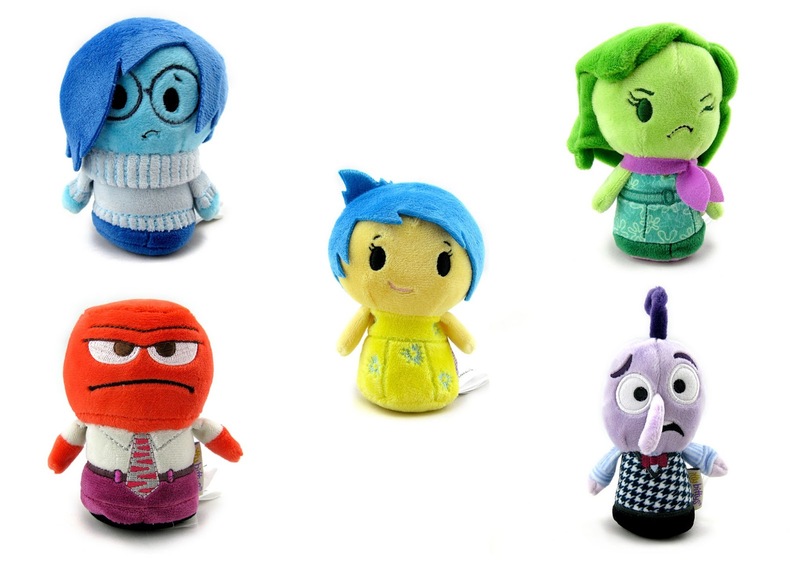 Fortunately, since I was hoping they would, they are just now releasing this fantastic Inside Out Itty Bitty assortment featuring all your favorite emotions from the film- Joy, Anger, Sadness, Disgust and Fear! I feel very excited to have gotten my hands on these already. If you're an overall Disney (and such) fan, be sure to check out the other Itty Bittys at Hallmark. 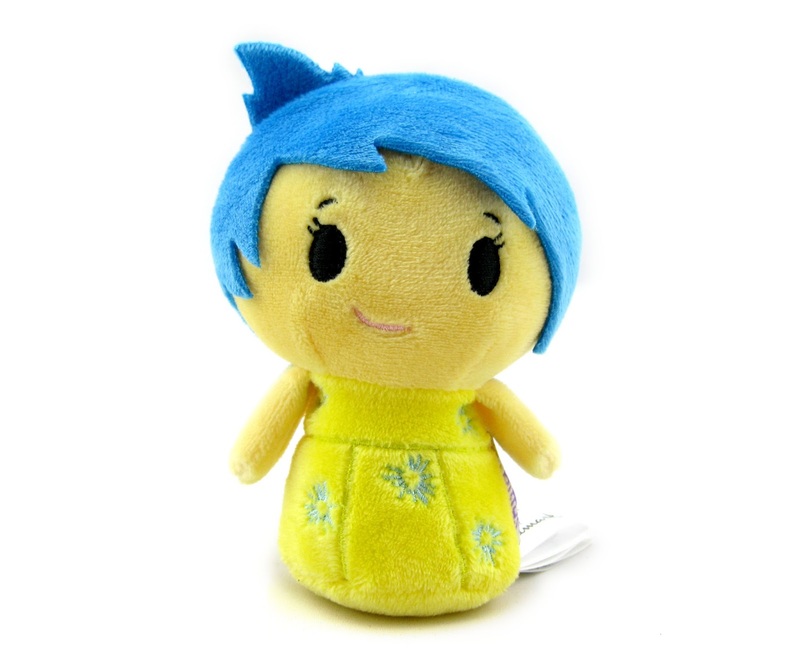 There are a lot of fun characters to collect, such as classic Disney, Disney princesses, Pixar, DC and Marvel super heroes, Frozen, Star Wars, Muppets, Winnie the Pooh, Peanuts, Wizard of Oz and more. Many more are being released often! The first Pixar Itty Bitty characters released were Mike and Sulley. 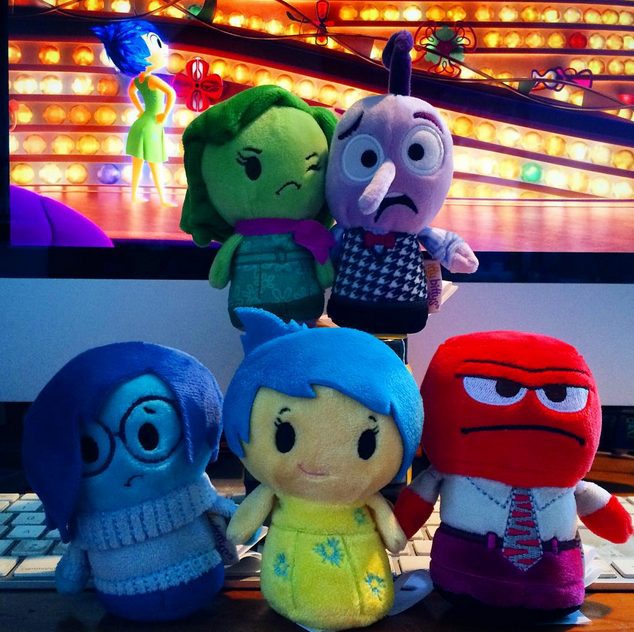 Nemo & Dory, Buzz & Woody, Merida (and now these from Inside Out) have also been released since. 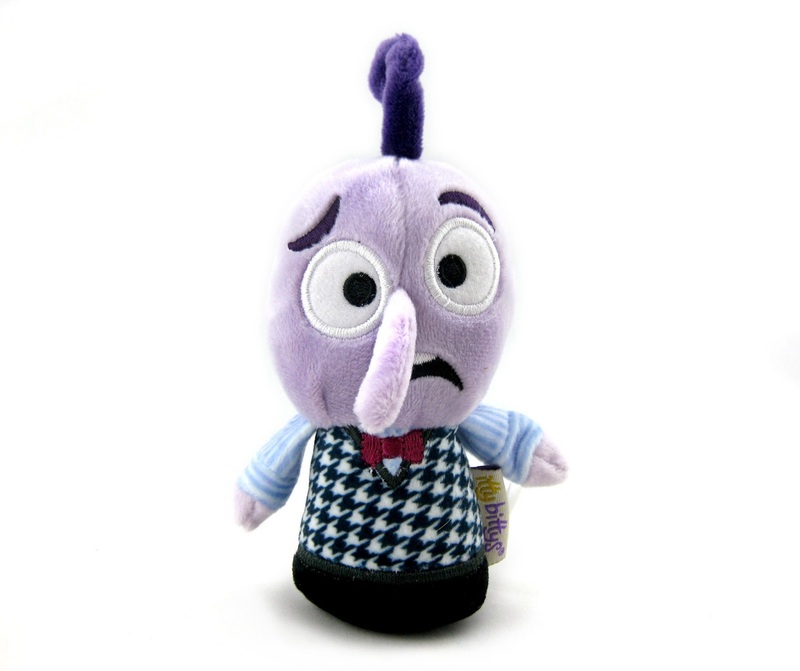 Which Pixar Itty Bitty characters would you like to see released? Shout it out in the comments below! 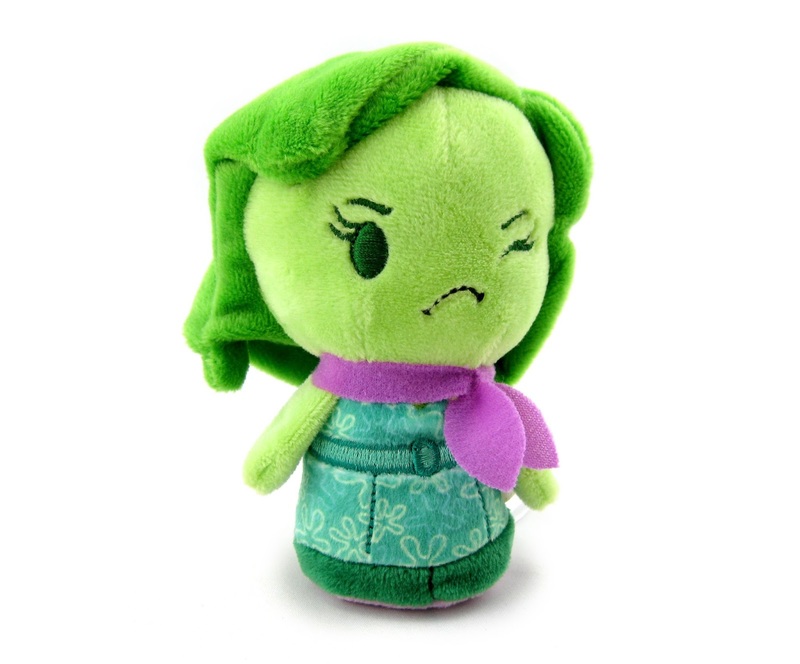 These will be available in August, so keep you eyes peeled at your local Hallmark store. 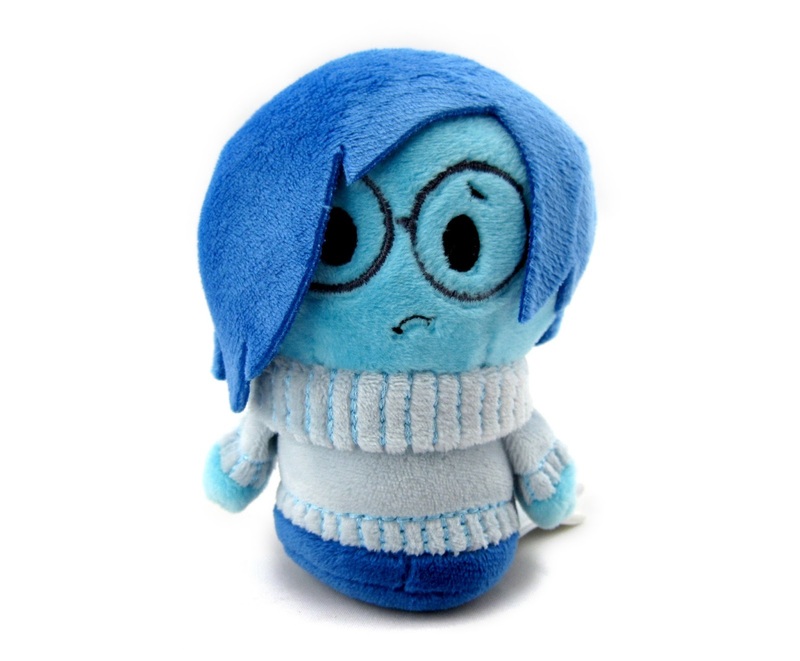 They will also be available on the Hallmark website soon HERE. Thanks so much for stopping by the blog- If you're new here, welcome! Please take time to explore my collection and enjoy. Also, you can contact me if you have any questions, comments or suggestions. Hope to hear from you soon!